ACP and EBSCO Health are collaborating to provide ACP members with free access to the most current, evidence-based clinical decision support tool, DynaMed Plus®, as a benefit of ACP membership. ACP members have complimentary access to DynaMed Plus through August 31, 2019. Clinicians can earn CME every time they use DynaMed Plus to answer a clinical question. Simply create a DynaMed Plus personal account, and the system tracks CME as it is accrued. You can redeem CME at any time, and certificates are stored for easy access. Learn more. *ACP members must re-authorize once per year. Re-authorize now for free access through August 31, 2019. Learn More. *Always log in with your DynaMed Plus username and password. Updated daily and analyzed systematically through the lens of an expert editorial team, DynaMed Plus provides relevant information in an easy to digest format for fast implementation at the point-of-care. Beginning in August 2015, ACP's staff physician Deputy Editor for Internal Medicine has worked with the DynaMed Plus editorial team specifically on internal medicine content. 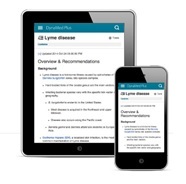 Topics that have been reviewed by ACP can be found throughout DynaMed Plus and are identified by the ACP imprimatur. In addition, three of ACP's member and staff leadership have joined the Executive Leadership Board to steer DynaMed Plus toward continued success in supplying evidence-based medicine to the health care community. As a result of this partnership, ACP members receive free access to DynaMed Plus through August 31, 2019. After this, members will be eligible for a deeply discounted annual subscription. 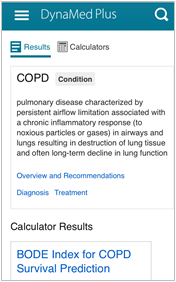 Free Mobile App provides ability to access information offline, write and save notes, bookmark favorites, and email topics (iOS and Android available). Learn more about installing app. CME is earned for all of your point-of-care searches and can be redeemed at any time. Certificates are stored for easy access. ACP members must re-authorize with DynaMed Plus once per year. Re-authorize now to continue to get free access through August 31, 2019. IMPORTANT: You do NOT need to create a new account in DynaMed Plus. After clicking RE-AUTHORIZE below and ensuring that you're logged into ACP, simply click the 'Sign in' link under 'Already have an Account?' on the resulting DynaMed Plus screen.